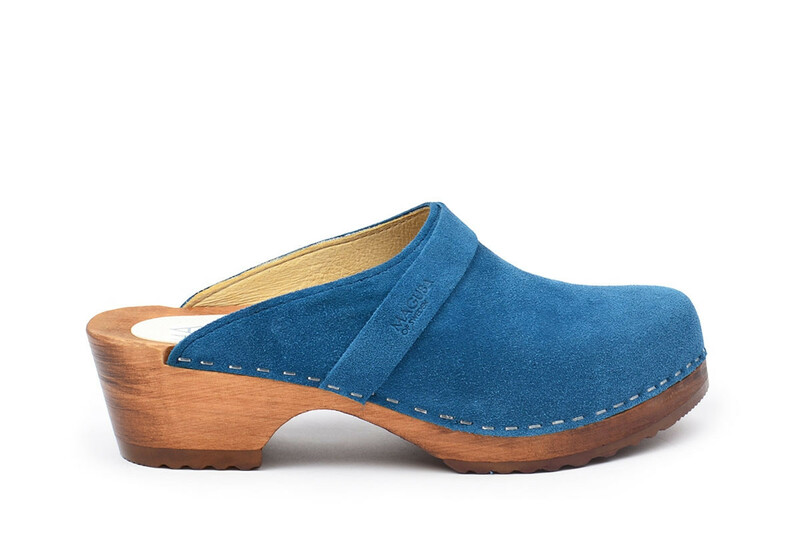 Berkeley is a classic clog with clean Scandinavian design. 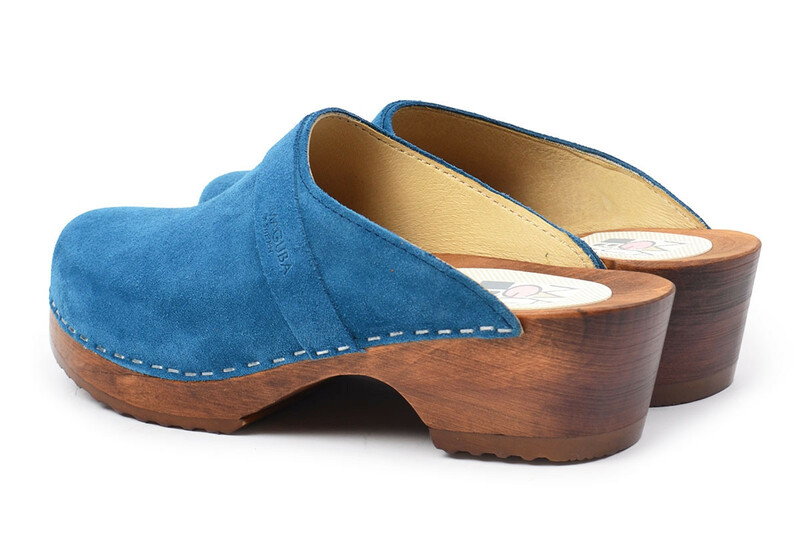 The clogs come in a soft celestial blue suede leather. 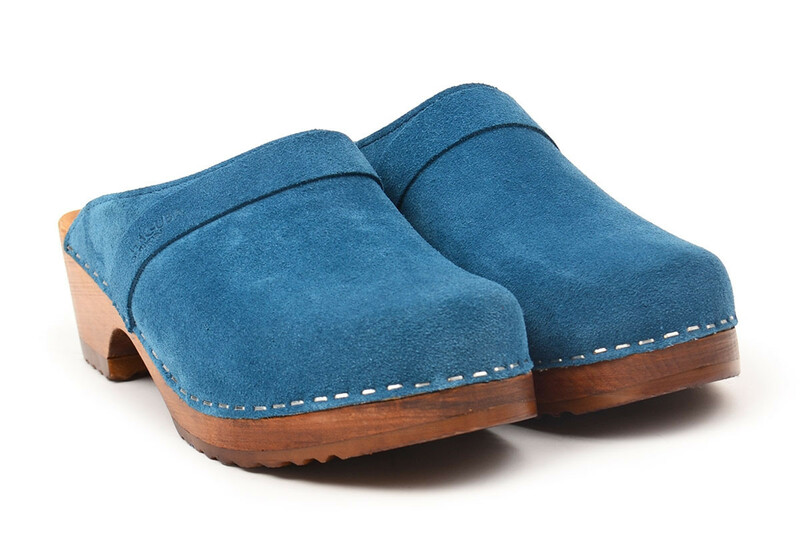 The clogs are made on our brown stained and varnished comfy bottoms which makes them great for many different weather conditions.